THE HAGUE - Russia may have tampered with the site of an alleged chemical weapons attack in Syria’s Douma, the U.S. envoy to the global watchdog said Monday, urging the body to condemn the continuing use of banned chemical weapons. The comments came during a closed-door meeting at the Organisation for the Prohibition of Chemical Weapons, convened after an April 7 attack in the town of Douma, outside the Syrian capital, in which dozens of people were allegedly killed with poison gas. “It is long overdue that this council condemns the Syrian government for its reign of chemical terror and demands international accountability for those responsible for these heinous acts,” U.S. Ambassador Kenneth Ward commented. The United States, Britain and France fired more than 100 missiles at three alleged chemical weapons facilities Friday, angering Syria’s military backer Moscow, which threatened to retaliate. President Donald Trump said the strikes had accomplished their aim of undermining efforts by the Syrian government to produce and use chemical weapons again in violation of the Chemical Weapons Convention. OPCW inspectors were visiting sites in Douma on Monday where they were aiming to collect samples, interview witnesses and document evidence to determine whether banned toxic munitions were used. It has been more than a week since the attack in which witnesses and Western governments described helicopters dropping sarin and chlorine bombs that killed many children and women hiding from clashes between rebels and government troops. A diplomatic source said evidence may have been removed while inspectors negotiated access with Syrian authorities. Syria and Russia deny chemical weapons were used in the final offensive that captured Douma, a rebel-held territory east of Damascus. Syria joined the OPCW, which is tasked with monitoring adherence to the 1997 convention, in 2013 after a sarin gas attack that killed hundreds of people in Ghouta. The move was part of a joint Russian-U.S. deal that averted military action threatened by then-president Barack Obama. Russian President Vladimir Putin warned Sunday that further Western attacks on Syria would bring chaos to world affairs, as Washington prepared to increase pressure on Russia with new economic sanctions. 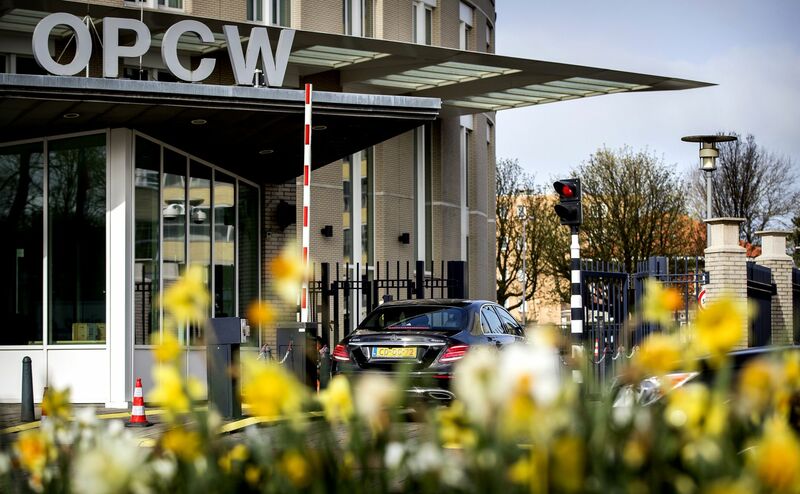 Members of the 41-seat executive council of the OPCW were due to discuss the alleged use of prohibited toxins in Syria, but were not expected to reach any agreement about a response. The OPCW, which needs a two-thirds majority to take decisions, has been undermined by deep political division over the use of chemical weapons by the Syrian government. 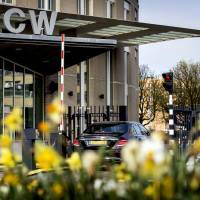 The OPCW inspectors will not assign blame for attacks. A joint United Nations-OPCW mission concluded that troops under Syrian President Bashar Assad had used chemical weapons several times in recent years, including in a sarin attack a year ago in the town of Khan Sheikhoun that killed nearly 100 people.